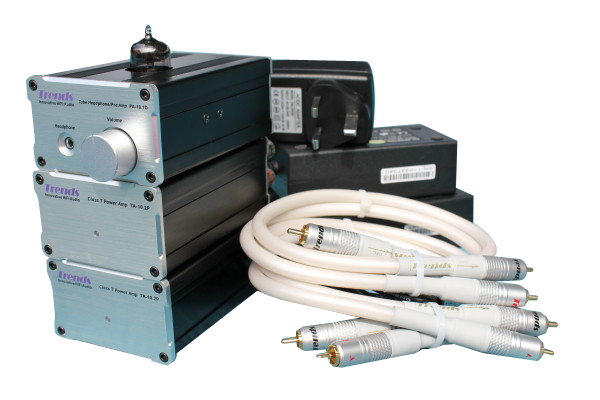 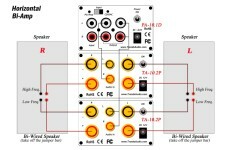 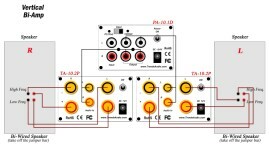 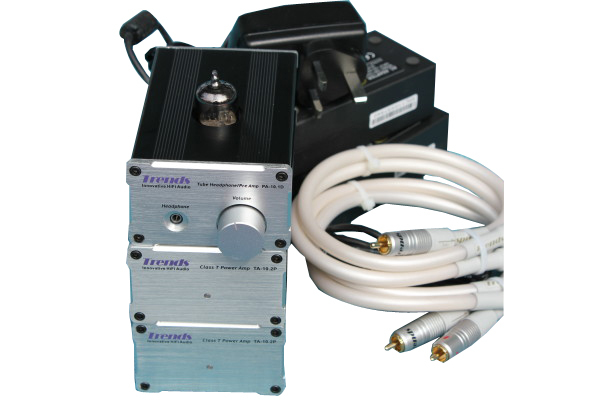 To setup a Bi-amp solution, as easy as 123 & affordable !!! 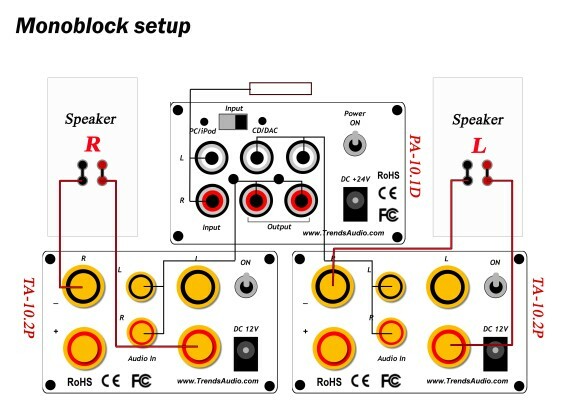 It is easier to bi-amp your speakers with two Trends TA-10 amplifier, connecting one of these to the highs binding posts and the other to the bass ones. 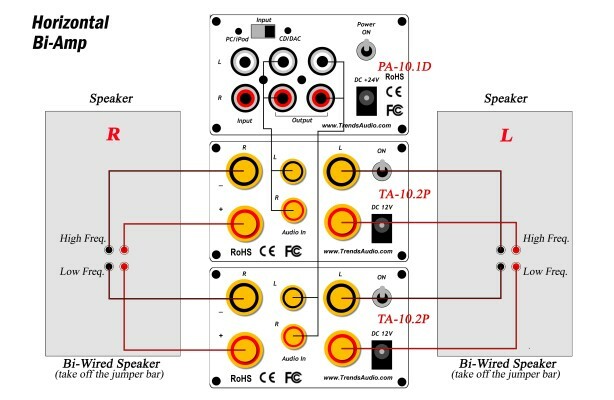 You can alternatively bi-amp your speakers using one TA-10 per speaker. 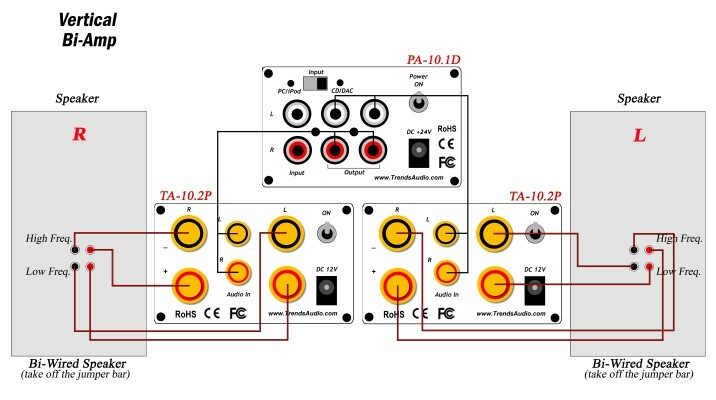 Of course each TA 10 should be fed by a single channel only! 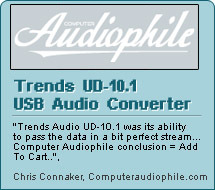 (One TA 10 connected to the right channel, the other to the left one). 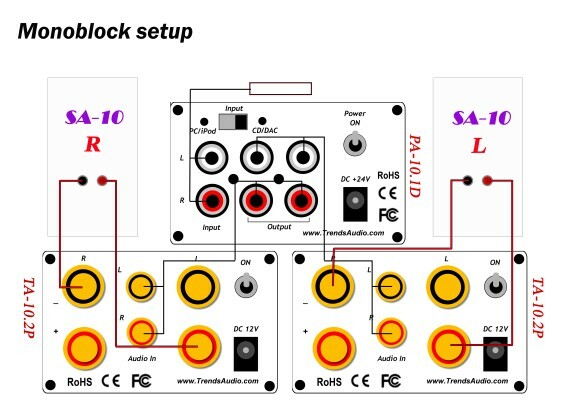 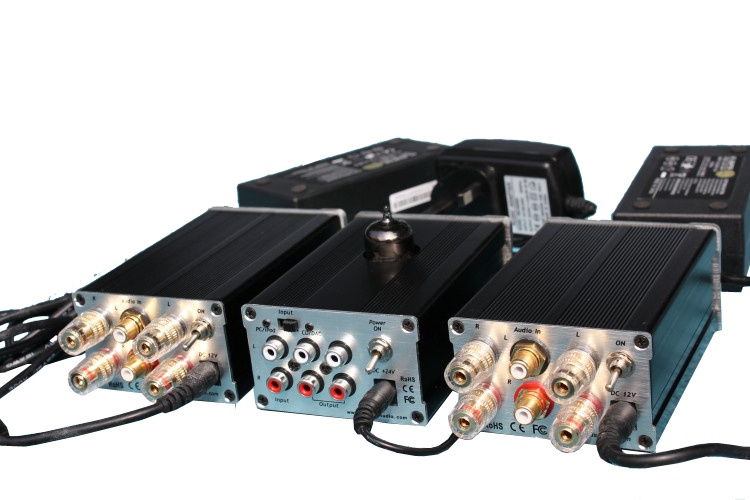 In any case, you need a signal splitter, some kind of Y or T adapter (2 pairs of RCA's outputs) to double the signal that feeds the TA 10's (few $).